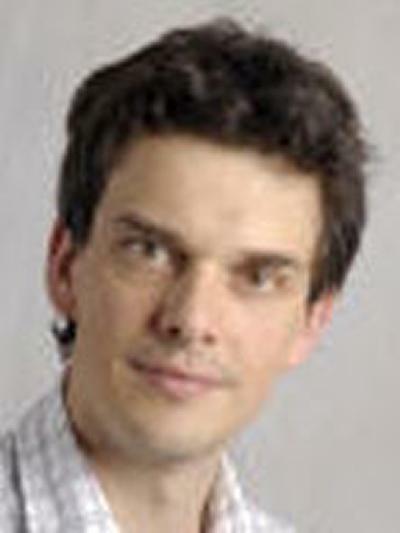 Dr Christopher McCormick is a Associate Professor of Molecular Virology within Medicine at the University of Southampton.Dr McCormick joined the University of Southampton in May 2005, where he has continued his work investigating mechanisms of positive strand RNA virus replication. Originally trained as a parasitologist in the University of Oxford, he move to the University of Leeds in 1996, taking up a three year post-doctoral position to study malaria sporozoite invasion of the liver, before becoming interested in another hepatotropic infectious agent, hepatitis C virus. Six years later, after involvement in a number of studies that included being the first to show that a DNA-based delivery system could be used to introduce replication-competent viral transcripts into cells, he brought his experience to Southampton. Working with Prof Ian Clarke and other colleagues he showed that the same DNA-based delivery system could be used to recover infectious mouse norovirus; a discovery that for the first time allowed researchers to delve into the genetics of norovirus, a group of viruses that include Norwalk or ‘Winter Vomiting” Virus. More recently, he has developed a novel hepatitis C virus genetics system as a proof-of-principle that traditional hurdles to undertaking genetic complementation studies in positive strand RNA viruses can be overcome. Dr McCormick is a member of the Society for General Microbiology and American Society for Microbiology. He is an editorial board member for Journal of General Virology and for 4 years co-ordinated the Recent Independent Virology Researcher’s UK Meeting. Chris is interested in the molecular mechanisms that underpin positive strand RNA virus replication and the how these groups of viruses are able to avoid immunity and cause disease. Flaviviridae family members include hepatitis C virus, Dengue Virus, Bovine Viral Diarrhoea Virus and Zika Virus, all significant human/animal pathogens. We are using intragenomic replicons (viruses that have been made quasi-diploid) and other more traditional systems to undertake genetic complementation studies aimed at understanding the process of viral RNA genome replication. Collaborators : Dr John McLauchlan (Glasgow), Prof Norbert Tautz (Lübeck). Viruses employ a wealth of strategies to avoid host defence mechanisms. We have recently identified an novel activity in a hepatitis C virus protein that counteracts experimental efforts to target it for degradation by the proteasome, the disposal mechanism used by cells to get rid of unwanted proteins. We are currently investigating the biological significance this might have regards the viruses ability to avoid host immunity. Collaborators : Dr Edd James & Emma Reeves (Southampton). Rhinoviruses are the leading infectious cause of asthma exacerbation. These pathogens take over the host cell but using their two proteases, 2A and 3C to shut down host cell transcription and translation. We are looking at whether natural variation in the host substrates targeted by these proteases influences infected cell responses in ways that could alter disease outcome. Collaborators: Prof Donna Davies (Southampton). BM4. Delivers immunology and virology based lectures. Facilitates small group teaching. Sets and marks assessments. Integrated PhD Respiratory pathway. Delivers virology teaching.